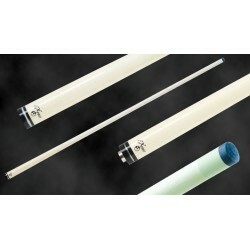 ExPro Shafts There is 1 product. The EX Pro shaft features the next generation Hybrid carbon core (HCC) and the EX front-end technology. The HCC strikes the right balance between hardness and flexibility creating more power without any loss of cue ball control. Reduced cue ball deflection along with additional power increase is provided by the enhanced EX front-end technology.